Red-eared slider terrapins are native to the Mississippi River Basin of North America. They were brought into Bermuda because they are commonly kept as pets. 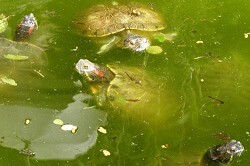 Harmful: Red-eared slider terrapins are being dumped by pet-owners. As a result of irresponsible pet ownership these terrapins can now be found in every freshwater or brackish pond on the island. Conservation staff have also come across dead red-eared sliders that have perished after being dumped in saltwater pools where they cannot survive. This species have been spotted in the polluted Pembroke Canal and are also found on golf courses. Alison Copeland, bio diversity officer, said: “Most of the red-eared sliders in Bermuda’s parks and nature reserves were dumped their by pet owners who no longer wanted them. 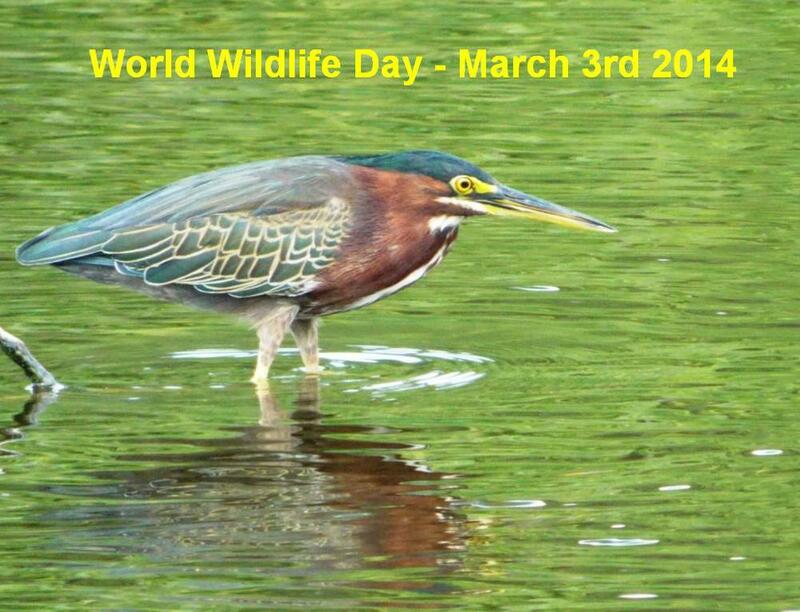 “One slider added to a pond may not upset the ecology, but people have been adding their ‘one slider’ to Bermuda’s ponds for decades and now most ponds contain several hundred. “If you release your pet, it will find a mate and be producing clutches of eggs in no time. The red-eared slider is listed as one of the world’s top 100 worst invasive species. Ms Copeland added: “Red-eared sliders have devastating impacts on pond ecosystems because they eat almost anything including water plants, molluscs, insects and small fish. “In Bermuda they eat the killifish and the mosquito fish (Gambusia) which keep the mosquito numbers down. “This has serious implications for human health because of mosquito-bourne disease and general wellbeing. Anyone who no longer wants their terrapin can bring it to the Department at Shorelands, across the road from the Bermuda Aquarium, Museum and Zoo in Flatts.